Jonathan the wolverine is so great. Squirrel Girl makes everything better. I do agree that Excalibur tying into Inferno is an odd choice. But they are still a blast to read. Excalibur does have great covers. I think of the cover that was actually used as the actual first page of the comic. Arcade issues are always treats. As far as his business plan going, he did say in one of his early appearances that he’s independently wealthy, and the $1 million fee he charges to kill people is mostly just a formality. He really does just want to kill people in weirdly extravagant ways. And can I just say there are an insanely high number of assassins in the Marvel Universe? Like there are multiple corporations dedicated to assassins. Multiple! Corporations! And that’s not even getting into the solo assassins! Assassination is a legitimate job opportunity in the Marvel Universe, so I have to wonder just how many assassinations happen there. Assassination has to be, like, the third-leading cause of death in the Marvel Universe. I kinda hate that Courtney Ross got killed off. She was cool. And the plot didn’t really go anywhere, either. #6 was my first issue of Excalibur, and one of my earliest comics. I loved it. Kitty ending up in diapers is something I’ve never forgotten. And then all the weird stuff going on. I think I was actually too young to be creeped out by it. If I’d been a couple years older, I think I would have found it creepy and disturbing, but nope, I just found it all fun. Even the really goddamn creepy mannequin thing. So it means I still can’t be as creeped out by the mannequin thing as I really, really should be. And I have to say, I really liked that gargoyle. It was so nice! For my part, I actually read the gargoyle as male. It didn’t even occur to me that it could be female. But I was genuinely sad when the gargoyle died. I would be totally on board with Nightcrawler getting a bunch of gargoyle buddies. And the set-up for Cross-Time Caper! Woot! Cross-Time Caper is so amazing. I like to think the Gargoyle is Bruce from the 90s Spider-Man cartoon. One of the strange curses of the 90’s and the rise of the Image lot is that I can remember being very excited during that time because prior to that, things hadn’t really felt like they’d been going in any direction I was that eager to follow (Sorry Chris, the Shadow King is and always was rubbish, and spending several years getting ready to fight him was exactly what I never want to read ever) so the idea that there was some sort of energy at all was kinda great. Didn’t work out so well in the long run, but. . .does it ever? Hey, guys. Started listening to the podcast from #1 back in November and finally got caught up a few episodes ago…just in time for the beginning of Excalibur and Inferno, which is where my own superhero comic collecting really began. It’s been very interesting to re-read these issues before the podcasts, in many cases for the first time in decades. One thing I noticed in Excalibur #6 is that establishing shot of the Manhattan skyline. Silvestri and Simonson both drew the Inferno Empire State Building as quite a bit taller than usual in X-Men and X-Factor, respectively, but Alan Davis finally found the right perspective to really convey exactly HOW MUCH taller the building was during this time. Arcade actually has an explanation. He was a regular assassin who was so good at his job he got crazy rich, and also bored at how easy it was. He could have just retired, but he loved killing, so he built Murderworld instead. It’s basically a hired killer’s version of model train dioramas. Note that this doesn’t gel at all with that recent Avengers Academy storyline. I think I missed the cut to ask this on air (and forgive me if I missed this key detail in Inferno Watch), but is it ever explained exactly which plot point triggers New York’s demonic possession? ‘Cause the cause and effect is still unclear to me. Admittedly, it’s been a while since I’ve read any part of Inferno. I read the New Mutants chapters first, which I remember picking up in media res: after the trash cans had started eating people and shortly before the demons started pouring out of the baby portal. So I followed the footnotes to X-Terminators to see if I could figure out what was going on there. Again, the X-Terminators arrive in Manhattan AFTER the cop cars had started coming to life. I assumed that maybe something from the other Inferno plot, the one with the Goblin Queen, had caused Limbo to start bleeding into the city. After listening to the podcast, though, it sounds like the same thing happened in X-Men and X-Factor: New York was already in the early stages of possession by the time the teams arrived. So what was it that caused Limbo to start bleeding into New York? Was it Magik’s removing the Soulsword? Was it Madeleine’s dealings with N’astrith and S’ym? A bit of both? Wait, sorry, I’m just being notified here that you meant gargoyles, not Gargoyles. Sorry. Carry on. Red “Hound” Costume – CHECK! Last thing, Nazi Moira and Callisto looked like they were designed for the concurrent GI Joe comic. The old cartoon Gargoyles is a Disney property. The X-men (the comic books anyways) are also a Disney property. WHO DO WE HAVE TO BUG TO GET THIS CROSSOVER AND HAVE KURT MAKE NEW GARGOYLE FRIENDS!?!?! It was never explicitly stated that Courtney Ross was killed, was it? I kept hoping and hoping for issue after issue that they’d reveal she was merely being kept captive somewhere, and after waiting so long for her return it broke my heart a little when it was mentioned once and for all that she was dead dead. I can’t believe I missed commenting at the start of your Excalibur coverage since this is a series I really loved growing up. I remember going through my parent’s longboxes and reading through all of the Claremont/Davis run. 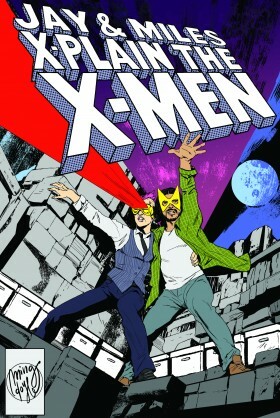 Weirdly though, I never read their other X-Men comics so I got a very weird view of what was going on in the comics. Like for years the Excalibur Inferno tie-in issues were the only context I had for Inferno for many years. It’s nice to finally have some clue about what’s going on. A couple of pop culture references really stick with me from these issues. Captain Confederacy is also referenced but I don’t know enough about it to judge Doug’s comic book tastes, but I have faith in him. 2) The creepy janitor bogeyman in Kitty’s horror film has a little skull with a domino mask on his trolley, and it is specifically referred to as Jason. A macabre little nod to the recent murder of Jason Todd’s Robin, over in the DCU. As for Arcade’s business model he’s told different versions of his past at different times, but one of those versions includes the idea he was the spoiled son of a millionaire who killed his daddy when he was cut out of his will for being a wastrel, and in the process discovered a taste for, and a talent, for killing. Finally finding his niche in life, he became a successful hitman, but grew bored, and decided that bigger is better and started the whole Murderworld thing for kicks. He has enough money to not worry if they’re not profitable (though his non X-Men hits seem to be successful), to him the game is everything. Miles mentions that Murderworld would be fun without the lethality, and if that appeals then you might want to check out Marvel Two in One #58 from 1980 (The magnificently titled “Discos and Dungeons”), where a castle full of deathtraps which is trying to kill a captured Angel (and the Thing, who happened to be using the men’s room at a disco at the same time… it was an 80’s thing) is revealed to be a plot by Toad, who purchased the tech (including a robot Scarlet Witch it’s better not to think about too much) from someone who we never see on panel, but who is very definitely Arcade (the tech has a stylised “A” on it) and who wants paid pronto, which Toad can’t do. Taking pity on the miserable wretch, and recognising a business opportunity, Angel decides to bankroll the conversion and de-death trapping of the castle into the premier amusement park in New York, giving Toad a (temporary) happy ending as a family entertainer and entrepreneur. …and Toadworld is referenced as the castle Doom takes over in upstate New York where he holds Arcade prisoner/guest. I always vaguely wondered about that Toadworld story, still haven’t read it. I read these issues of Excalibur a few months ago while also reading Dennis Hopeless’ X-Force, and I was struck by something. X-Force has a teleportation machine that beams them into and out of missions. I don’t recall if it was explicitly addressed, but one could assume Forge and/or Doc Nemesis built it. But Excalibur has no teleportation machine, or even a plane, which is how we got that amazing sequence of looking for a boat so Kitty could pee. Sometimes I feel like superhero universes have been going on for so long that it starts to get unfeasible that the Avengers wouldn’t have a spaceship, but writers who don’t try to think through their own stories internal logic are missing out on a potentially hilarious opportunity. For some reason it feels like the As mentioned pictures are out of order on this and the last few episodes. Anyway, question time: Do you prefer events that play out over the course over the course of the ongoings, a la Inferno, or events that play out in their own miniseries? I have noticed that the As Mentioned panels tend to be in chronological order from the pages of the comics, while the coverage in the episodes skips around a little bit to tie storylines together. I appreciate the added coherency of storytelling! So… the panel you’ve got here gives Cats Laughing “Nikki Falcon” on bass. As far as I can tell with a quick web search, Lojo Russo has always been Cats Laughing’s bass player. “Niki Falcon” is the main character of one of (lead singer) Emma Bull’s novels. Why this is in the comic this way I have no idea. When Cats Laughing has appeared in fiction, its lineup has generally been a mix of real members and fictional characters; the latter often including characters created by the members, most (all, I think?) of whom are SFF writers. My suspicion with the viability of Arcade’s business plan and it’s failure rate is more related to the fact that we only see him fail on-camera. If he’s taking on super-heroes, or close associates of superheroes, then normally he’s going to fail – because narratively he’s taking on the protagonists of a comic in their own book. Now, if he’s hired to take on someone like, say, the Marvel Comics equivalent of Sammy “The Bull” Gravano, Henry Hill, or Donnie Brasco, they might not get out alive. I kinda wonder, how much more effective would Arcade be perceived if we got a cold open where he actually successfully killed someone with Murderworld for his introduction (like in Man with the Golden Gun), instead of only knowing him through his numerous failures? Wasn’t that, more or less, what the teenage death-fest that was “Avengers: Arena” was? Kinda. I was more thinking in terms of if we went back in time to Arcade’s first story, just having Arcade successfully take someone out using Murderworld before setting up the actual superheroes as the primary target of the issue, to set up that Arcade can actually be effective. It’s sort of like how in pro wrestling where if you want to set up a Monster Heel (like Kane or Vader), you have him annihilate a few jobbers (guys whose job is to lose to make other guys look good – Brooklyn Brawler & Barry Horowitz for example), and then a few curtain-jerkers before setting up in a feud with someone more established – you’ve seen him destroy people successfully, so you buy them as a threat. Otherwise, if you introduce them out of nowhere, and their first outing is a failure, then you potentially have the “Shockmaster” problem. (Also, I can contextualize things around Pro wrestling as well). Cat’s Laughing is in Murderworld because of the software that Kitty wrote with Doug. Arcade doesn’t care about them: Shadowcat’s their biggest fan.